This partnership aims to help small enterprises access funding to strengthen poor and vulnerable communities in Asia through impact investment. USAID is contributing $800,000 to the Singapore-based Impact Investment Shujog Pte. Ltd. (Shujog) to scale their Assistance for Capacity Building and Technical Services (ACTS) program to help nearly 25 Asian social enterprises grow their impact in five sectors – agriculture, health, education, energy and water security – over two years. Together with JPMorgan Chase and The Rockefeller Foundation, USAID is supporting Shujog Assistance for Capacity-building and Technical Services (Shujog ACTS) to provide tailored technical assistance to nearly 100 social enterprises in Asia, unlocking up to $50 million in follow-on investments in five focus sectors: agriculture, health, education, energy, and water. Shujog ACTS (Assistance for Capacity-building and Technical Services) is an innovative technical assistance program that allows social enterprises to work with ecosystem partners to raise much needed growth capital so that they can scale and impact more lives. Shujog ACTS prioritizes helping women-focused businesses to grow and prosper. Through an innovative blended provision of repayable advances and grants, the partnership will enable Shujog ACTS to offer the liquidity for early-stage social enterprises to procure the business development services they need to become investment ready. After securing impact investment, the enterprises repay the interest-free advance to a revolving door facility, which then turns and supports the next early-stage social enterprise. Shujog ACTS assists Social Enterprises across Asia to prepare for investment so they expand their operations and impact more lives. Through a partnership model with multinational corporate leaders, Shujog ACTS has helped pave the way for legitimizing small enterprises as potential clients for intermediaries while deepening the entrepreneurial ecosystem in Asia. In its first year of implementation, Shujog ACTS has catalyzed $1.5 million in impact investments in social enterprises and impacted over 54,000 beneficiaries. JPMorgan Chase & Co. is a global financial services firm with assets of $2.6 trillion and operations worldwide. The Firm is a leader in investment banking, financial services for consumers and small businesses, commercial banking, financial transaction processing, and asset management. A component of the Dow Jones Industrial Average, JPMorgan Chase & Co. serves millions of consumers in the United States and many of the world's most prominent corporate, institutional and government clients under its J.P. Morgan and Chase brand. The company has 260,000 employees. The U.S. consumer and commercial banking businesses serve customers under the Chase brand. In 2013, JPMorgan Chase and its Foundation gave more than $210 million to thousands of nonprofit organizations across 42 U.S. states, the District of Columbia, and 44 countries around the world. More than 47,000 employees provided 540,000 hours of volunteer service in local communities around the globe. JPMorgan Chase works with community partners to create pathways to opportunity by supporting workforce development, financial capability, small business development and community development in the regions where we do business. Workforce Readiness: In 2013, JPMorgan Chase and its Foundation launched New Skills at Work, the largest private sector effort seeking to address the issue. The $250 million, five-year initiative is aimed at helping inform and accelerate efforts to develop demand-driven skills training so that workers and industries have the skills to compete and prosper in a global economy. Strengthen nonprofit infrastructure through technology and evaluation systems. Small Business Development: Through the company’s philanthropy intiative, JPMorgan Chase funds non-profits that connect small businesses to crucial resources that help them grow. In 2014, JPMorgan Chase launched Small Business Forward, a $30 million, five-year initiative to support the formation, growth and success of sector-specific small business clusters by helping non-profits provide small business owners with access to investors, managerial training, skilled workers, supply chains, facilities and new markets. Community Development/Affordable Housing: JPMorgan Chase has invested $33 million in seven CDFI Collaboratives that are responding to their community's unique community and economic development challenges. Together these organizations will leverage millions in additional investment to support low-income people and neighborhoods. Employee Engagement and Volunteerism: The Employee Engagement and Volunteerism Team at JPMorgan Chase helps match the interests and passions of our employees to meaningful and needed community service where the firm operates. JPMorgan Chase actively promotes volunteerism and service through its Good Works program, which organizes hands-on and skills-based volunteer opportunities, grants, and a matching gifts program. Shujog is an advocacy, research and capacity-building non-profit Social Enterprise (SE) seeking to foster growth, maturity and innovations to the SE and Impact Investment sectors of Asia. Shujog’s products and services focus on preparing SEs in Asia with the organizational accountability, sound governance and fiscal accountability to raise funds from the capital markets or through Impact Investment Exchange Asia, Shujog’s sister company. Shujog builds financial and social capacity in SEs so they can raise investment capital from impact investors by enriching the ecosystem that will allow for the growth of social capital markets, from social enterprises to the investors, private sector, and governing bodies. Action: Through Action, Shujog encourages the continued development of those currently in the impact investing and social entrepreneurship spaces. Shujog offers three Action products: Impact Assessment, Impact Academy, and Impact Immersion. Advocacy: Through Advocacy, Shujog reaches out to the broader community and seeks to expand the impact investing and social entrepreneurship spaces. Shujog does its outreach through its Impact Chats, Impact Forums, and Impact Documentaries. Research: Through Research, Shujog contributes to the growing body of knowledge that exists on social enterprises and impact investing in an effort to increase the sophistication of both space and its players. Shujog fosters growth, maturity, innovation, and market readiness in the social enterprise and impact investment sectors in Asia-Pacific to help address urgent social and environmental problems. By building capacity within social enterprises, Shujog seeks to prepare these enterprises to access investment capital from impact investors, thereby enabling them to scale and multiply their social and environmental impact. Shujog also aims to promote Singapore as a hub for social enterprise and impact investment in the Asia-Pacific region. The Rockefeller Foundation supports work that expands opportunity and strengthens resilience to social, economic, health and environmental challenges—affirming its pioneering philanthropic mission since 1913 to promote the well-being of humanity. 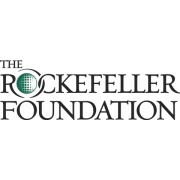 The Rockefeller Foundation has worked around the globe since their founding in 1913. Today, the Foundation works in regions where they can leverage theirassets, experience, and expertise to help realize Smart Globalization: Africa, Asia, and the United States. Yet, the Foundation does not limit its operations to these locations alone. They also support innovations and interventions in communities that provide new learning and build partnerships, alliances, and networks. Each initiative is designed to accomplish specific goals within projected time frames, usually three to five years. They monitor and assess their grantees’ effectiveness regularly. These requirements enable the Foundation to shift tactics when necessary, seize unanticipated opportunities, and recalibrate their approach when a problem demands shorter- or longer-term investment. All their initiatives draw on the Foundation’s commitment to nurture innovation, pioneer new fields, expand access to and distribution of resources, and, ultimately, generate sustainable impact on individuals, institutions, and communities.